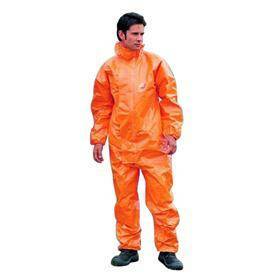 Tychem F hooded coverall is made from a flexible and lightweight material with high strength. 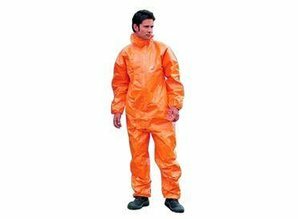 The suit offers excellent permeation resistance to organic and inorganic acids and bases. Offers 100% particle barrier and is halogen free. Strong and lightweight, with broad chemical barrier. Also antistatic.